For Quinley, a young Labrador/hound-mix, getting out of harm’s way in the wake of Hurricane Harvey meant traveling roughly 1,800 miles, through 12 states, from Corpus Christi, Texas, to New York City’s Upper East Side. Quinley was one of 41 dogs relocated from Texas animal shelters to make space for owned animals expected to be impacted by the storm. On September 4, right about the time that Harvey was finally dissipating, Quinley and 19 other dogs arrived at the ASPCA’s Adoption Center from Corpus Christi. 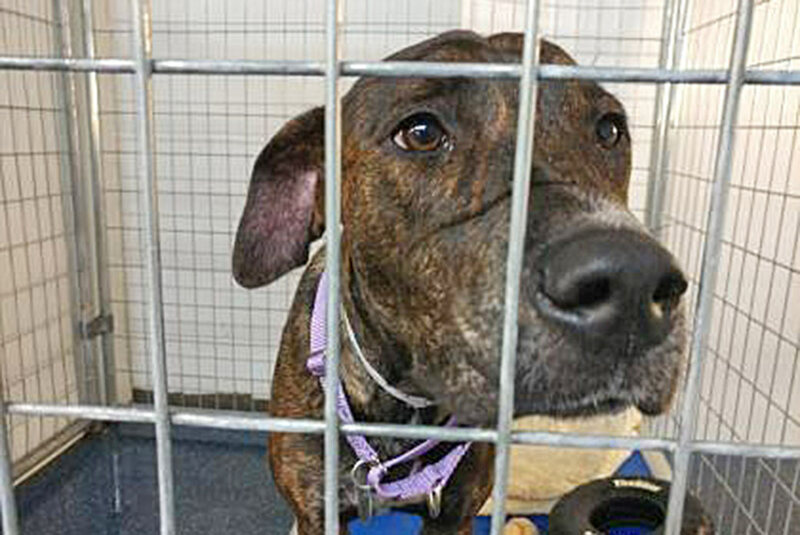 A second leg of the journey brought 21 additional dogs from Galveston to the Connecticut Humane Society in Newington to be made available for adoption. Both transports were arranged by the Houston SPCA. “For dogs like Quinley who were already homeless, making that long journey could be a silver lining—a fresh opportunity to find a loving home,” said Matt Bershadker, President and CEO of the ASPCA. Less than two weeks later, on September 16, that silver lining revealed itself. Daniel S. and his wife Samantha C. of Brooklyn were at the Adoption Center looking for a dog when they spotted Quinley. Suddenly, their search was over. “As soon as we saw him, we knew he was the right dog for us,” says Daniel, who grew up with a Golden Retriever. 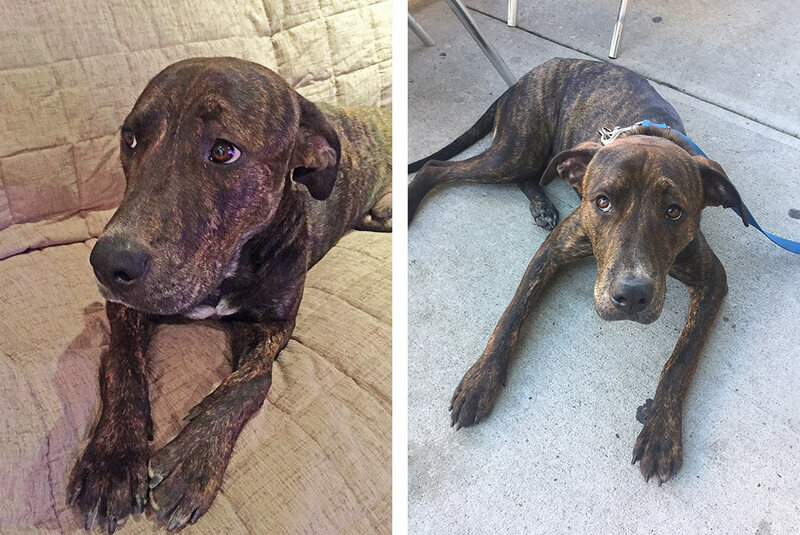 Samantha had been hoping for a Boxer or pit bull-mix, and Quinley—with his brindle coat and 45-pound frame—fit the bill. While Quinley hasn’t yet mastered fetch, he is improving his game, according to Daniel. 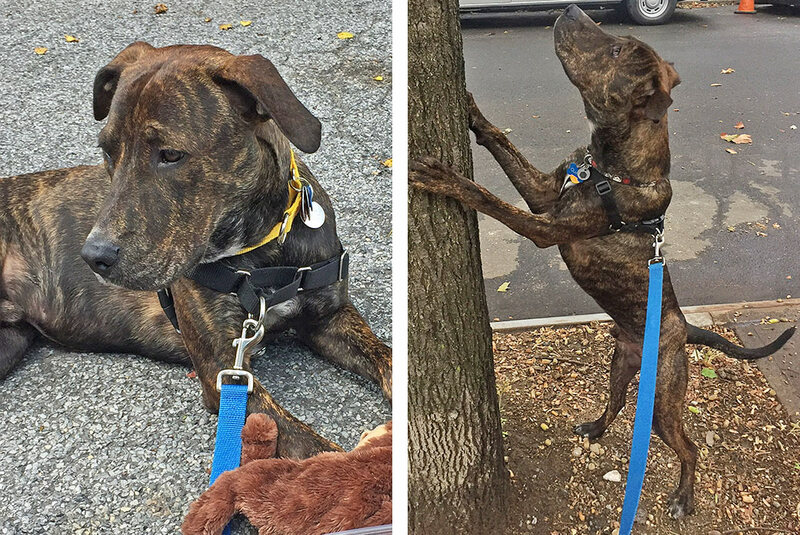 Among his star qualities: he loves the dog park in the couple’s Williamsburg neighborhood, he gets along well with other dogs and he likes to snuggle—an irresistible quality. 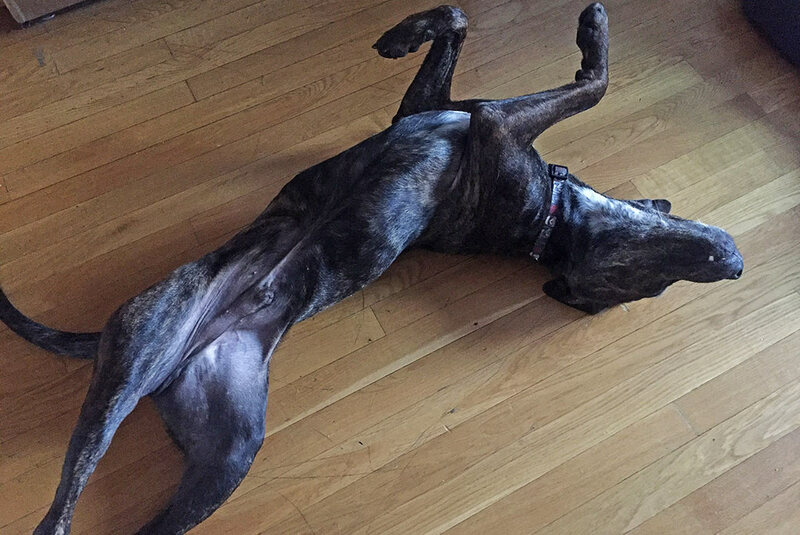 “He rolls over for belly rubs and is a big mush,” adds Daniel. As hurricane season finally begins to die down, Quinley and hundreds of other once-displaced dogs from storm-ravaged areas, including Texas, Florida and the Caribbean, are starting their new lives in other locations with the help of animal welfare organizations nationwide. We are happy to report that all but a handful of Quinley’s Texas shelter-mates who were transported to the ASPCA have been adopted. While Quinley may have found his happy ending, there are still animals waiting to be adopted at your local shelter. Consider adopting this month, or visit our Find Your Fido campaign page to find out how you can make a difference in the lives of shelter dogs across the country.